The world premiere of ''Natural History'' took place in front of an invited audience at the Watchman Overlook at the rim of Crater Lake. The world premiere of ''Natural History,'' a symphony commissioned in honor of the National Park Service centennial, took place at the rim of Crater Lake on Friday. To play Michael Gordon's composition, the 40-member Britt Orchestra was joined by a large chorus, a tribal drumming circle from the Klamath Tribes and an extra brass and percussion section from Southern Oregon University. Teddy Abrams conducted. 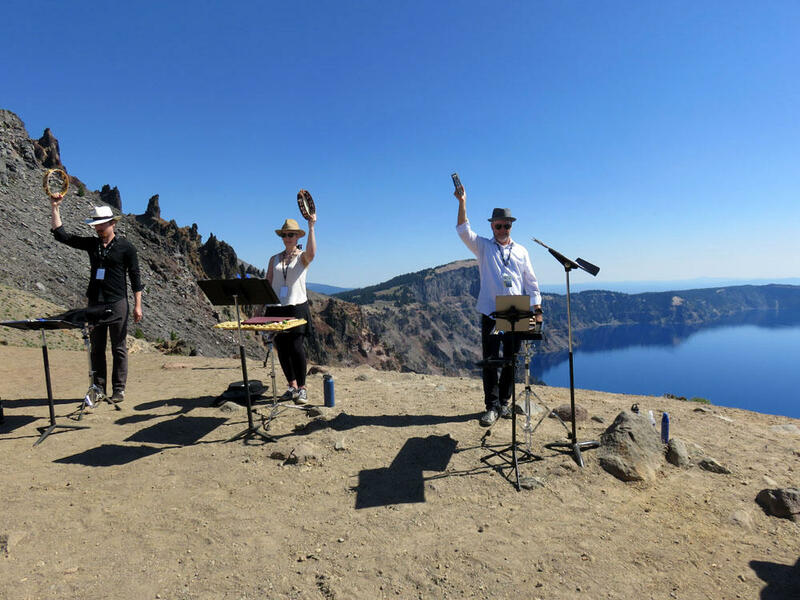 A line of percussionists and brass players were arrayed behind and among the audience at Crater Lake National Park to create ''spatial'' effects.